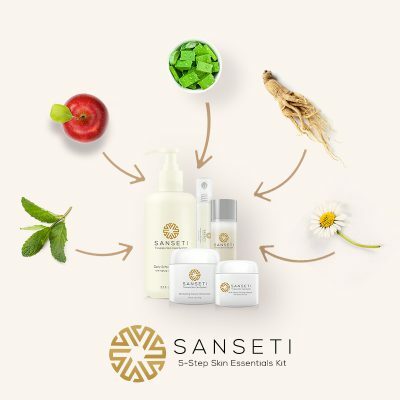 Sanseti’s 3-Step Skin Enhancing Kit includes: Daily Exfoliating Cleanser with Natural AHA/BHA Extracts, Revitalizing Marine Moisturizer, and Advanced Peptide Serum with Natural Extracts. We all want the perfect product set that can give our skin that important daily pick me up. Whether it’s before a long day at the office or preparing for a fun night out on the town, your skin always needs to look its best. 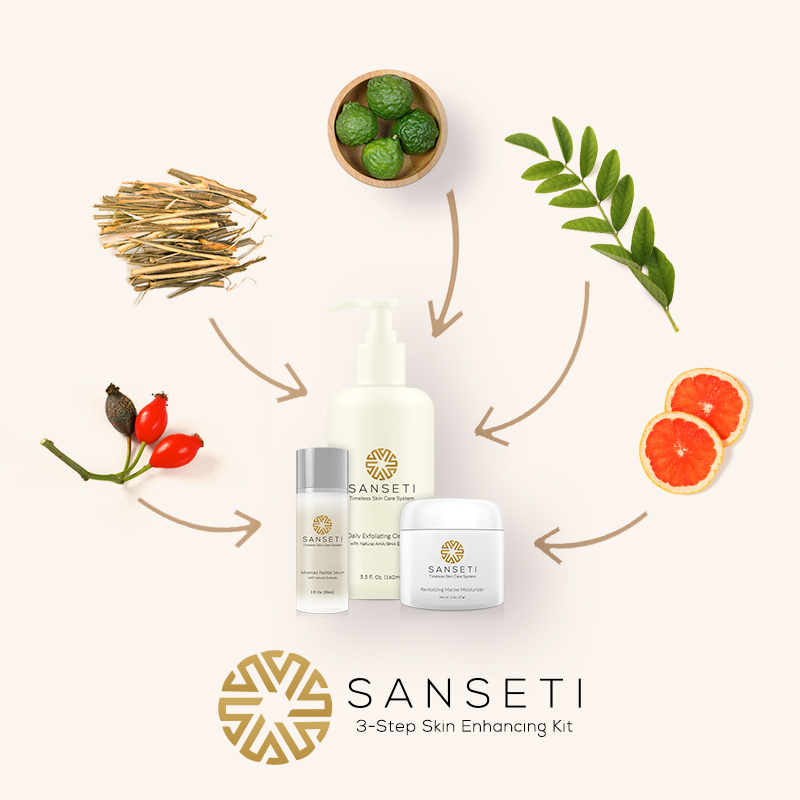 Sanseti’s 3-Step Skin Enhancing Kit will give you what you need to make sure that your skin gets its daily revitalization – without breaking the bank. 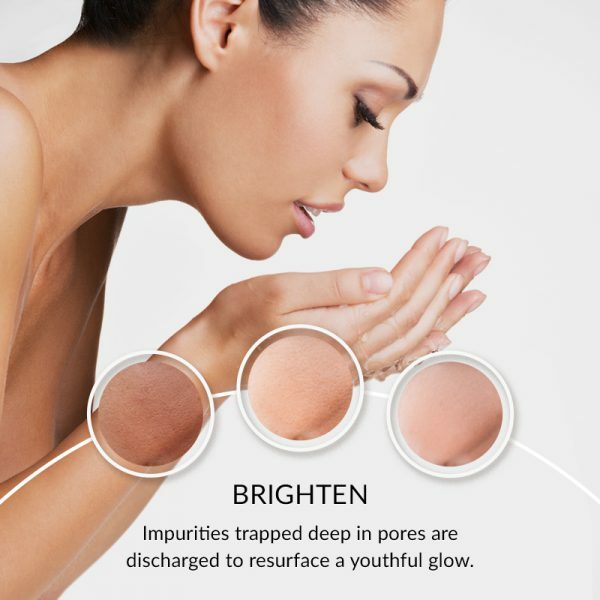 Exfoliating, moisturizing, and anti-wrinkle treatments are three of the main areas that most people are looking for when they are trying to establish the right skin care routine. 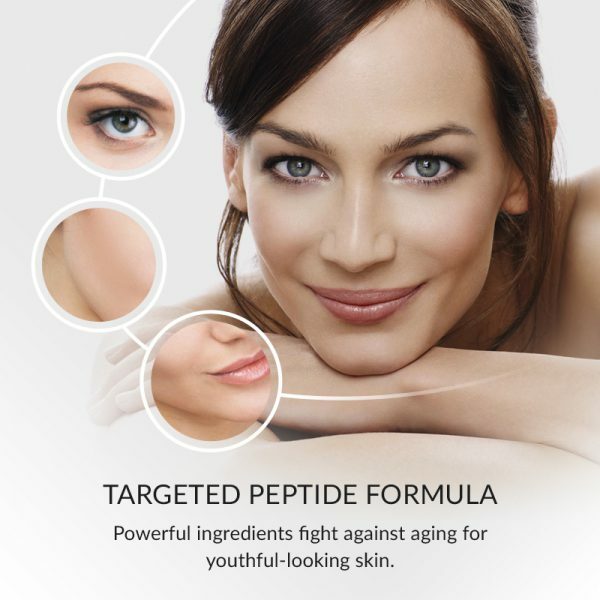 This is a simplified skin care system that is great for all skin types. Our 3-Step Skin Enhancing Kit will give you all three of these skin necessities in a perfectly affordable package. This deep cleansing lotion includes the Alpha and Beta Hydroxy Acids of Glycolic, Lactic, and Salicylic. These natural acids loosen the bond of dead skin cells to accelerate the natural skin renewal process. The Jojoba Beads gently exfoliate the skin to prevent occlusion of pores, revealing a fresher and more youthful looking skin. After rinsing thoroughly with cool water, follow with a day or night moisturizer such as Sanseti’s Revitalizing Marine Moisturizer or special treatment. Clinically tested to improve fine lines and increase hydration levels, Sanseti’s Revitalizing Marine Moisturizer formula uses an extract produced by bio-fermentation of a strain of Red Marine Algae abundant along the shores of the Hawaiian Islands. Studies have also shown a substantial reduction in redness. Soothes irritated and dehydrated skin due to sunburn, chemical peels, laser treatments, and harsh environmental conditions. Moisturizing, exfoliating, and anti-aging are the 3 basics that everyone wants in their skincare routine. This kit gives you all of those and it gives you the results you need. Try it out, you’ll be happy you did. I am a single mom and everything that I do is on a budget. This 3-step kit fits perfectly in my budget, but these are not budget products. I have never gotten results like this from anything else. It is frustrating that all of the best products seem to cost a fortune and they are priced so that only well off people can use them. Not this kit. It’s affordable and the results are A-list. Sanseti got it right. It can take years to find the right combination of products that work for you. Not once you try this 3-step kit. It is the perfect balance of powerful products that are still gentle on your skin. My chin developed a dry patchy area a few weeks ago. At first, I thought it was due to the cold but the patch became bigger. I tried this kit and it eradicated the patch perfectly. The patch is gone. I saw this kit while searching for a solution for my acne. I read the reviews and decided to try out the kit for a month. Two weeks later, I have seen significant improvements on my face. Well done, Sanseti! I was apprehensive to buy this kit because I didn’t have a chance to try it out first. But it was a chance that I am so glad I took. My skin looks amazing and I later bought a kit for my mom and she loves it too! I didn’t have any expectations; I have tried way too many beauty kits to ever have expectations on any of them. But this kit surprised me, a few weeks in and I can already feel my face becoming smooth. This beauty kit is so good I almost thought like I needed to pay more. I love its versatility, I don’t have to mind about my skin type to use this kit and it works like magic. I never write online reviews but I felt that this kit needs to be recommended. I could never leave my house without feeling like I needed makeup due to acne issues. This product has helped me get a more smooth and glowing face. I started out with one bottle of the daily exfoliator and it was amazing. I figured that if I loved the exfoliator, I would love the entire system. I bought this kit, totally loved it, and I will be getting the 5-step kit next time!! My New Year’s resolution was focused on self-care and skin care was near the top of the priority list. I discovered this product and it has been integral in my self-care routine. It is an important part of my daily routine. My daughter has struggled with confidence because of her skin. I have seen her become a whole new person when she started using this kit. Thank you Sanseti! 🙂 You have done so much for her. This is a great kit that produces amazing results. It is worth every affordable penny that you may spend on it. It will make your skin look like it is ready for anything. Sanseti is the best! Bottom line, these are some of the best products out there on the market. If you don’t believe me, just give it a try. I can all but guarantee that you are not going to want to use anything else ever again. I don’t know why everyone hasn’t tried this 3-step system yet. It makes your skin look great and it is not outrageously priced. 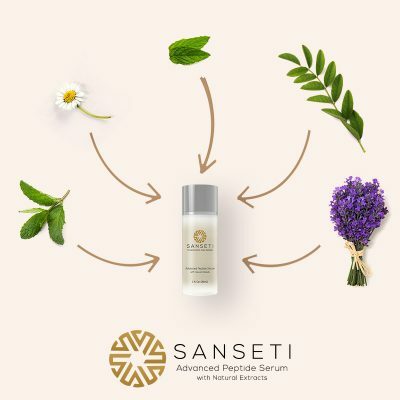 Sanseti is a company that knows what they are doing for skin care. Sanseti is a company that everyone should know about. They care about their customers and they care about creating products that do what they say they are going to do. Top-notch ingredients backed by science. 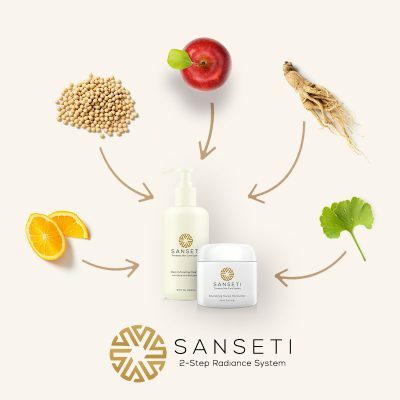 Sanseti has taken the time to find the best natural ingredients to put together in order to create great products. Their 3-step kit is a perfect blend of nature and science. This kit is awesome. I’m a frugal shopper and I make sure that I do my research before I purchase anything. After doing the research, I bought the 3-step kit and now I’ve upgraded to the 5-step kit and I love it. Thanks, Sanseti. I love to wear makeup, but it does serious damage to my skin. This 3-step kit helps me to take care of my skin and reverse any damage that my makeup may do. The 3-step kit is necessary for me. I am the kind of person that likes to keep things simple. Moisturize, exfoliate, and nourish. That is exactly what this 3-step kit is made to do, and it does it better than anything I have ever tried. In the summer, I work as a lifeguard and my skin takes a lot of abuse being out in the sun. This kit allows me to take care of my skin in a way that helps to prevent serious damage to be caused by the sun. I love that Sanseti has different kit sets. This gives options to their customers so that they can figure out which ones work best for them. I love the 3-step kit and my skin loves it too. I tried each one of the products included in the 3-step kit individually first. They worked amazing so I know that together they were going to do amazing things for my skin, and they have! Sanseti really knows what it’s doing. They created a great line of products. It doesn’t matter if you choose one of the multi-step kits or individual products, there is no way that you can go wrong. I have been seeing a dermatologist since I was 16. I am now 21 and my dermatologist recently asked me what I have been doing for my skin because he can notice a big difference. I told him it was Sanseti. I was really skeptical to use these products because I had never heard of Sanseti before. I thought that because of the price that their products weren’t as good. Boy, was I so wrong in my thinking. This 3-step kit gives you the right products to do the three most important things you can do for your skin; moisturize, exfoliate, and anti-aging. These products by Sanseti are amazing and your skin will never look better. Sanseti, I want to thank you for creating a high-quality product that is amazing for sensitive skin. It took me years to find products that were gentle enough and yet still worked great. You guys did it! I thought I had always been taking good care of my skin, until I used this 3-step system. I thought my skin looked great before and now I realize it has never looked better than after I started using this 3-step kit. 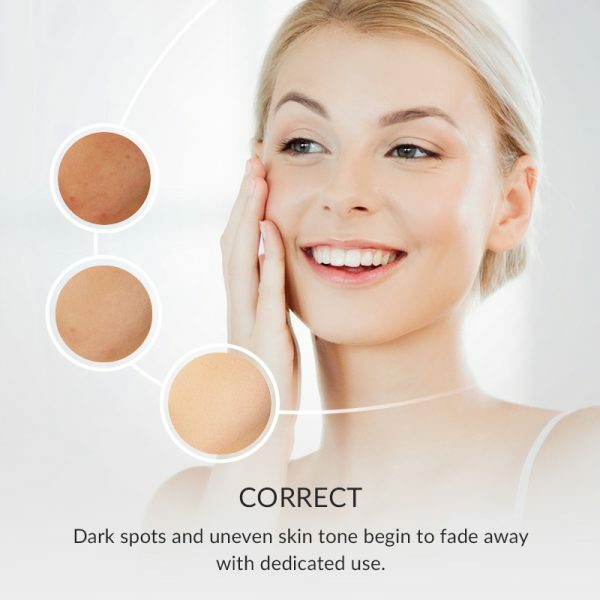 I have had black spots on my face for as long as I can remember but thanks to the 3-step skin enhancing kit, my face is looking younger and smoother. I recommend this product to everyone. I have never felt more confident of myself as I feel nowadays. Everyone is asking what beauty products I am using. I love this kit more so because it only took a week to show results. When I purchased this kit, I needed something that would replace all other cleansing products I have, one cost conscious system that does it all… The kit has not disappointed! My skin is very dry and most of the moisturizers I had weren’t working. This kit gives me well-hydrated and moisturized skin all day. I don’t have to keep applying it after a few hours. Before I discovered this kit, sunburns used to tarnish my skin. I work in an environment where the sunburns can really be a menace. Now that I have a solution, I feel confident even while out in the sun. Two weeks and my skin is glowing like that of a Hollywood star!!! I love what this kit has done on my face. I have used lots of beauty kits but this is different. I bought this kit for my wife and daughter, just a simple gift for fun. Now, they can’t stop thanking me and their skin is glowing like daylight! I feel proud. This kit is dope. My face tends to be wrinkly, just a little bit. Because I appear on TV a lot, I had to look for a skin care kit that works. I finally landed on this one and am not letting go. I can’t help my skin from cracking. It dries and cracks even on days when the weather is great. This kit has gone a long way into keep my skin moisturized. I love it! I am 60 years old and looking at the mirror today, I felt more youthful again. My daughter bought me this kit and despite my resentment, I tried it. I can’t regret, it’s the best. I love how gentle this kit is, I can apply the cleanser twice a day, and my skin does not react. My skin is not so forgiving, but with this kit, I feel more comfortable. I have had bumps on my face since after high school. Someone suggested that I should detoxify and my research landed me on this kit. You should see my face today, not perfect, but much, much improved! This kit is soothing especially after you have been through laser treatment. My cosmetologist recommended it to me and I can’t stop feeling grateful. It helped me through the recovery period. I needed an exfoliant when I found this kit. To me, it is an all-in-one kit. I have not only been able to exfoliate my skin but also get rid of a few black spots. A friend recommended this product to me. At first, I was skeptical, I didn’t want another product sitting idle on my dressing table. Today, I wish I had known this kit before. My skin feels great. Where has this kit been all my life? I don’t like make-up, I only need products that keep my skin smooth and supple. This kit has done exactly that and some. I love my skin. Huh! My youthful skin is coming back. My face had started forming some nasty lines, sort of like wrinkles but they are gone now thanks to this kit. I feel like a schoolgirl again. I had purchased this kit for my mum but since I couldn’t get it to her in time for her birthday, I decided to use it for my skin. I am in love with the kit. Typically, in the past, I was not one to take very good care of my skin. The most I would do was wash my face, but after using this kit I regret my mistake of not using a moisturizer and an anti-aging serum earlier in my life. Baby smooth, glowing skin. What more can I say? This has made such a drastic difference in my skin, really enjoy it. I used to buy my cleanser, anti-aging serum, and moisturizer separately, but this has been far more convenient for me and I know every thing I’m getting is of the highest quality. Love it! This kit has honestly been the best investment I’ve made for my skin, I can rest assured knowing that I my skin will stay looking great! If you’ve ever thought about using a skincare kit before, give this a try. You will be happy you made the choice to invest in your skin. After trying this Sanseti skin care kit, there is no way I can go back to the other skin care products I was using. I previously used the starter kit and decided to get the system with three items this time for the added moisturizer. SO happy with my decision! This is the best skincare bundle I have bought so far. In fact it saved me a lot of money… more than worth it. Has everything I need. Skin care products are my jam 🙂 I have used a lot of similar skin care kits before, but this one is by far the best I’ve seen around. When I say you should get this kit, you should take it from me. This kit taught me the value of spending just a little bit more than I usually do to get a premium product. I will never waste money on inferior skin care products again. This package is amazing, it has everything my skin needs. It keeps my skin clean, smooth, moisturized, and youthful looking! More than worth it! Decided to give Sanseti a try and made the choice to go with this kit. Easily my favorite cleanser and moisturizer. Lovin it so far! Love this stuff! Thought it was a little pricey at first, but after using it, Sanseti really is a premium brand – everything in the kit really works and this kit has it all. Glad I didn’t go cheap on my skin. You get what you pay for. I can’t get enough compliments, and after using Sanseti for a while now multiple friends of mine have asked what I’m doing to get my skin so soft.